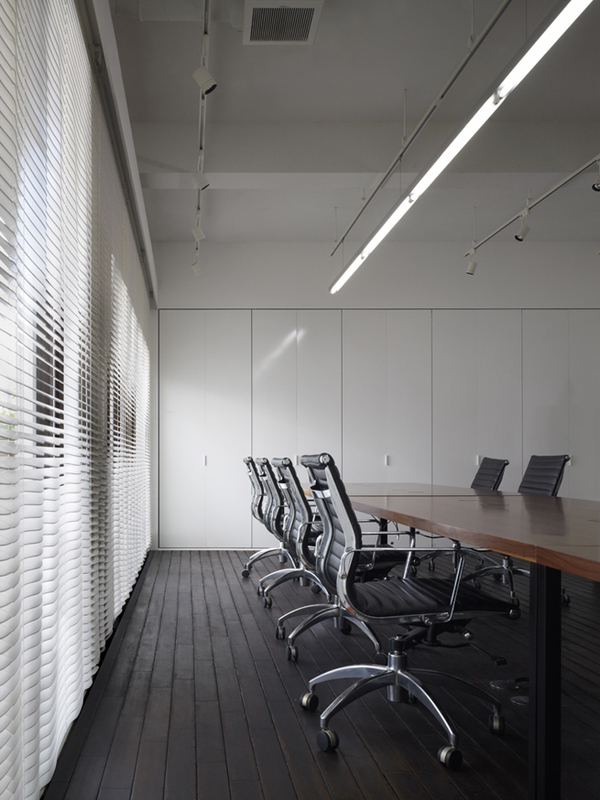 The office design for Hakuhodo creative vox, an advertising agency. 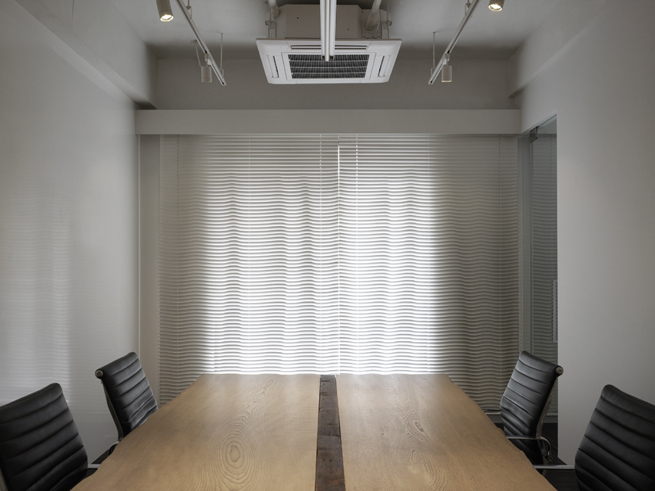 The agency occupies a U-shaped space that wraps around a central terrace on the top floor of a small building in Akasaka in central Tokyo. 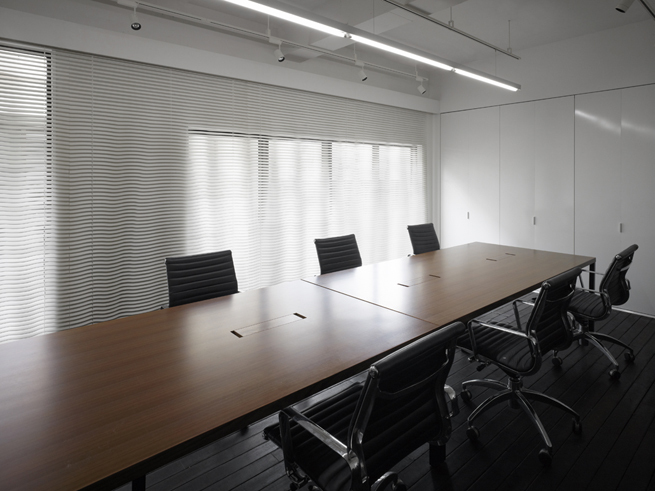 Our plan was to keep new walls and furnishings to a minimum to preserve the airy,comfortable feel that the space already possessed.One of the major questions was how to deal with the ample light that pouring in the windows. 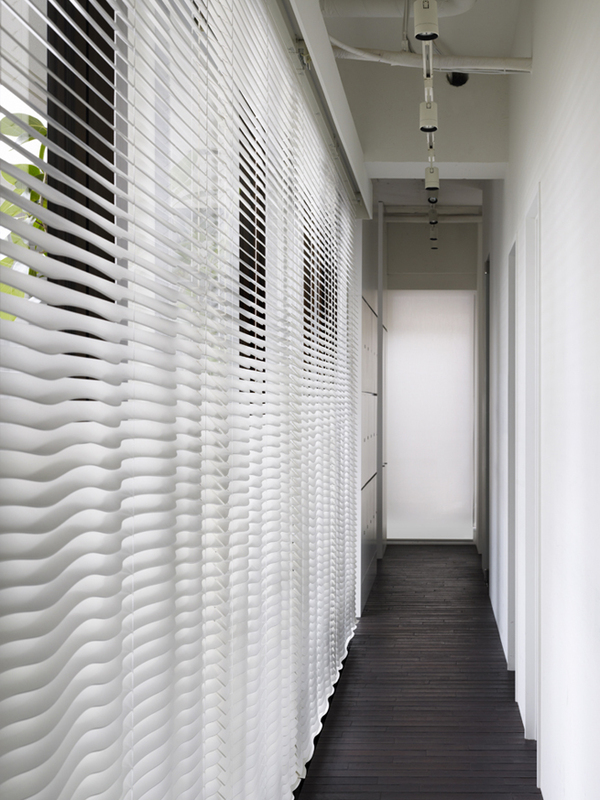 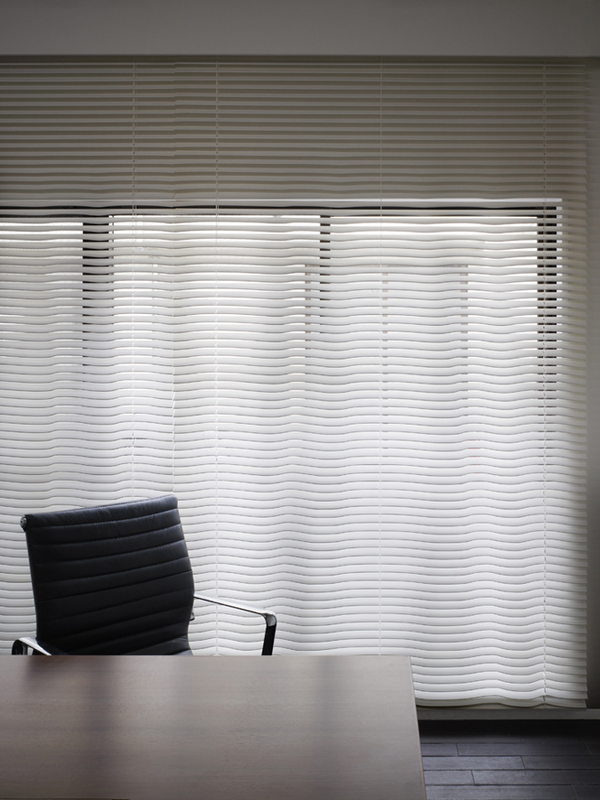 Blinds were the obvious, most functional answer, but we were afraid that they’d make the space feel too formal. 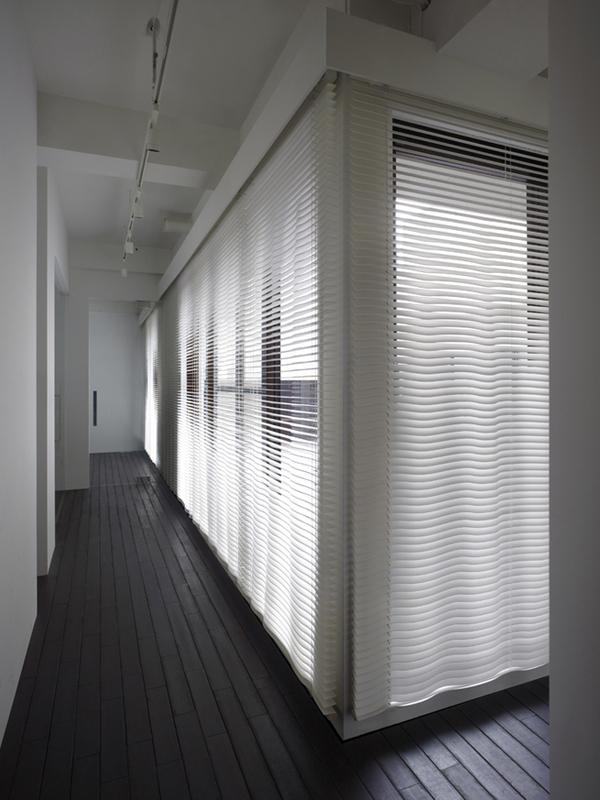 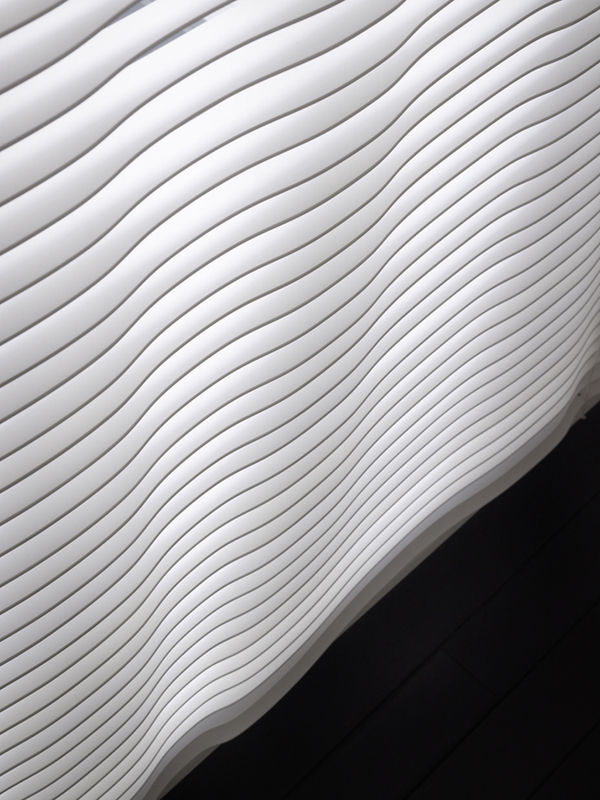 We decided to cut the blinds in loose waves for a gentle, draping three-dimensionality. 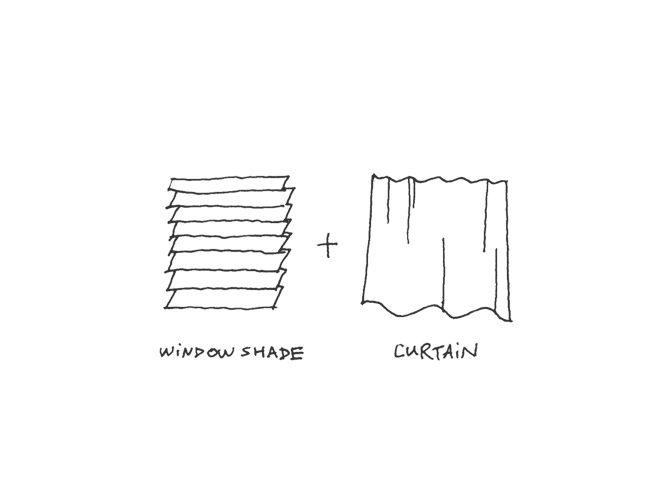 The resulting effect, halfway between blinds and curtains, doesn’t just control light and sightlines, but gives the entire space a more relaxed feel.We also clad the wall surfaces with whiteboards, cut a barlike opening in the wall between the meeting room and the kitchen and put a large desk and an adjustable tent on the terrace to facilitate outdoor meetings and parties.Our goal through these careful interventions was to support and suggest different forms of communication throughout the day.